An IT inventory refers to the inventory template used in the field of information technology to list down the items that an IT company has in its storage or even in its data filing. 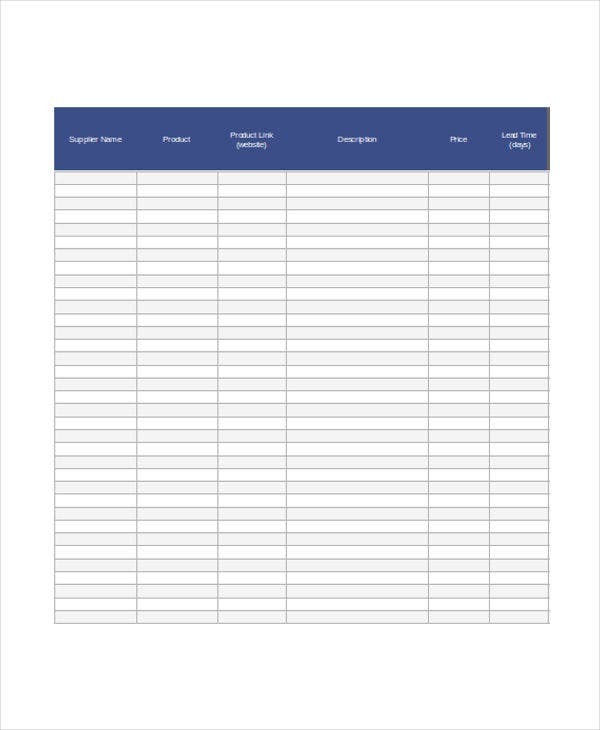 There are different kinds of inventory spreadsheet templates that are used in various processes involved in the information technology industry. We have collected a number of IT inventory templates and samples that you may use as guides and references in creating your own IT inventory. 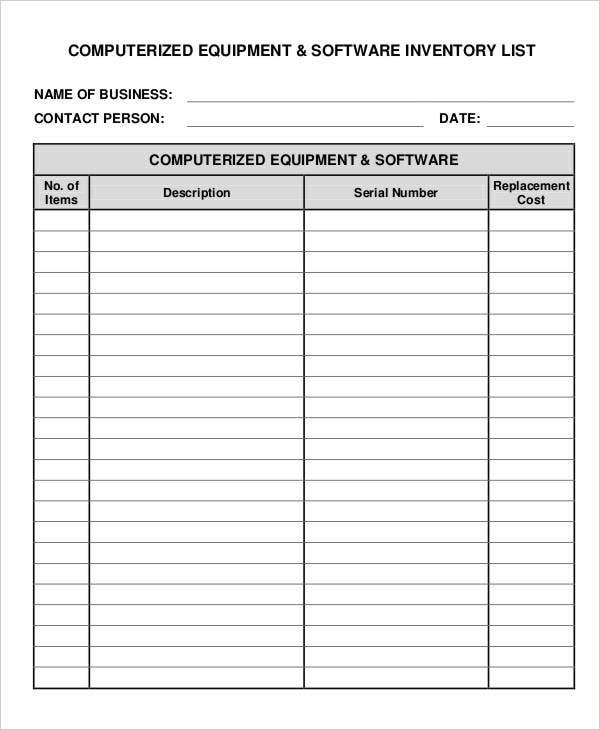 We recommend you to select the template that is appropriate for the particular function that your IT inventory document will be used for. 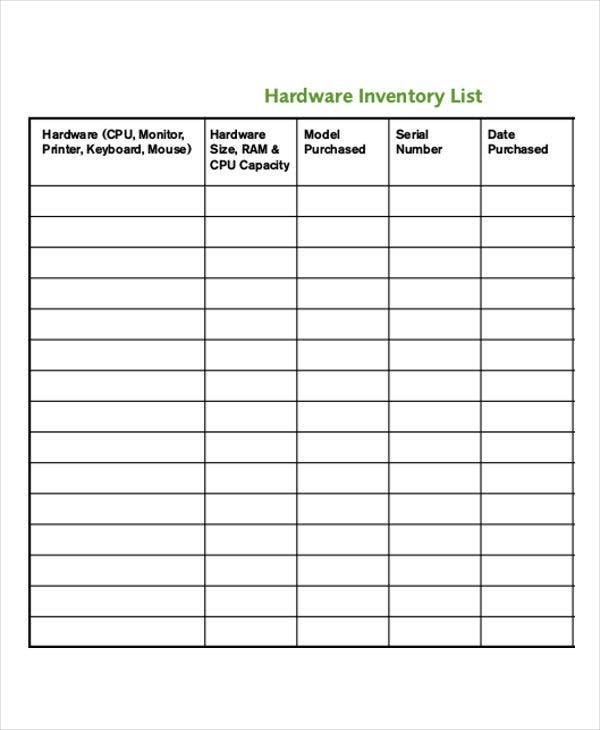 You can use an IT inventory to list all the hardware. 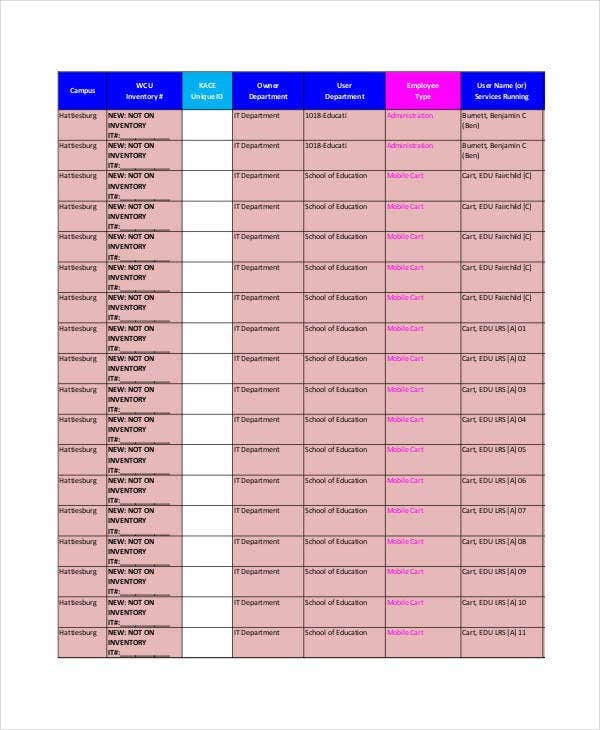 This document includes the listing of the kind of purchased hardware, the description of the hardware, the specific serial numbers of the models present in the list and the date that the items have been purchased. An IT inventory can also be used to identify the electronic properties of the business that has been entrusted to specific employees. 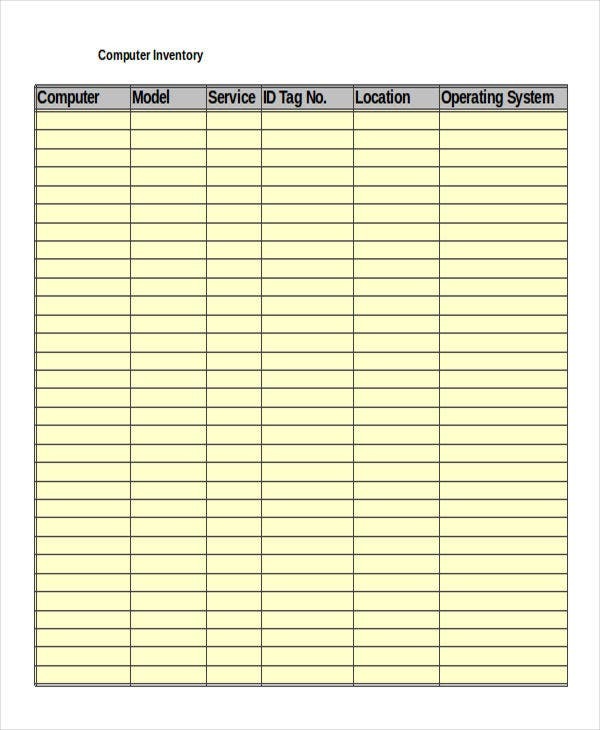 This IT inventory lists the model of the items that have been handed to the employee, the name and identification number of the employee, and the department where the employee is currently assigned. 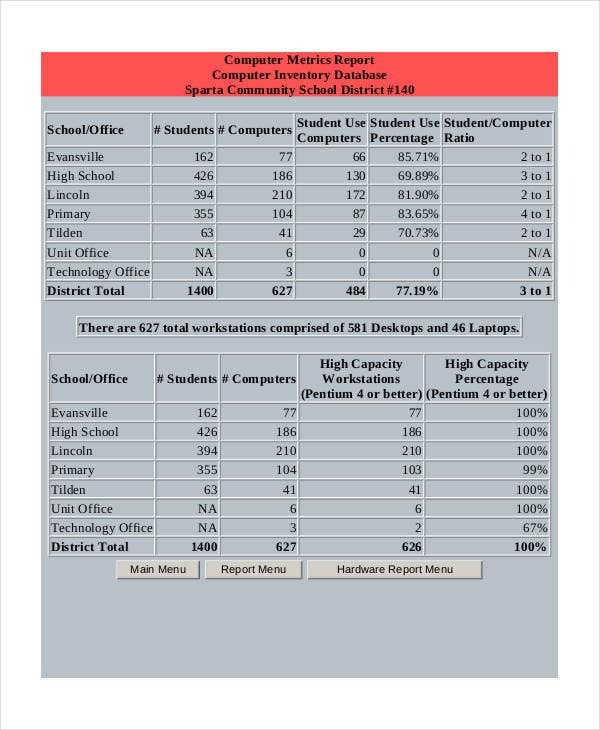 An IT equipment inventory specifically lists the properties of the company that is related to information technology which is all used in the different departments of the business. This will allow the company to track the items that they are using for operations. Using free inventory templates can help you a lot in creating the specific IT inventory that your company needs. May it be server inventory templates or any other kinds of information technology templates that you will create, make sure that you will be guided by the proper formatting of these documents so you may fully maximize their purposes of usage. It will be best for you to refer to a variety of inventory templates if you need guides on how you can properly format this tool. It is essential for your IT inventory to be well-structured and professionally created so the listing of a variety of items will be faster and easier. Identify the purpose on why you need to create an IT inventory. Just because it will be used by the IT department does not mean that it can already be generalized. 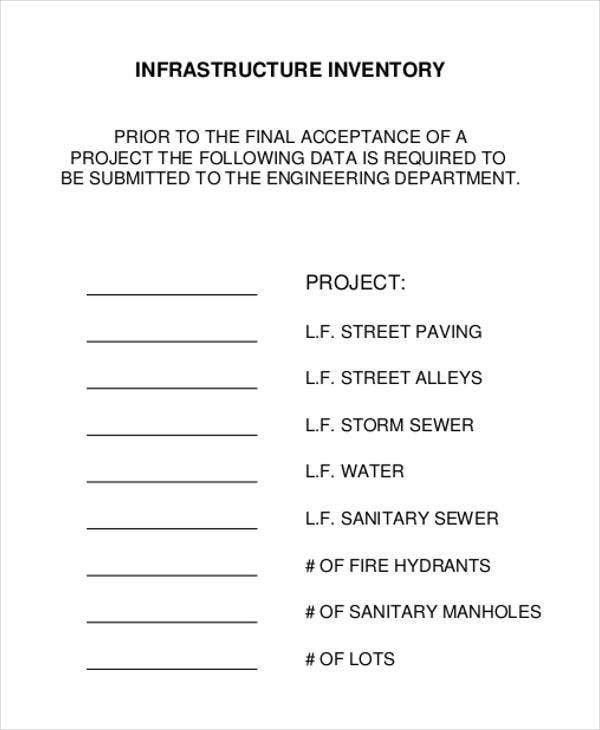 There are a lot of functions, stocks, and processes that are needed to be recorded to assure the full implementation and/or management of these items. 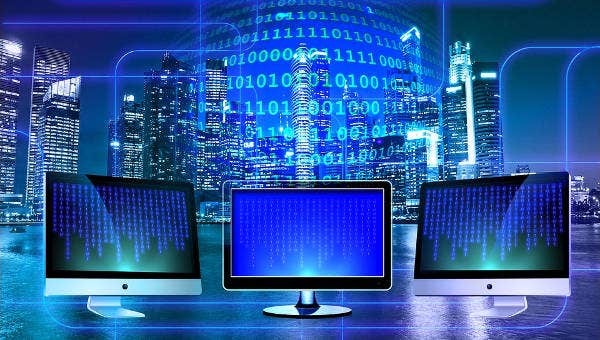 Computer inventory templates and any other IT inventory templates should always be updated to make sure that a company is aware of the current counts and/or conditions of their electronic and digital properties that are used in the processes of the business.